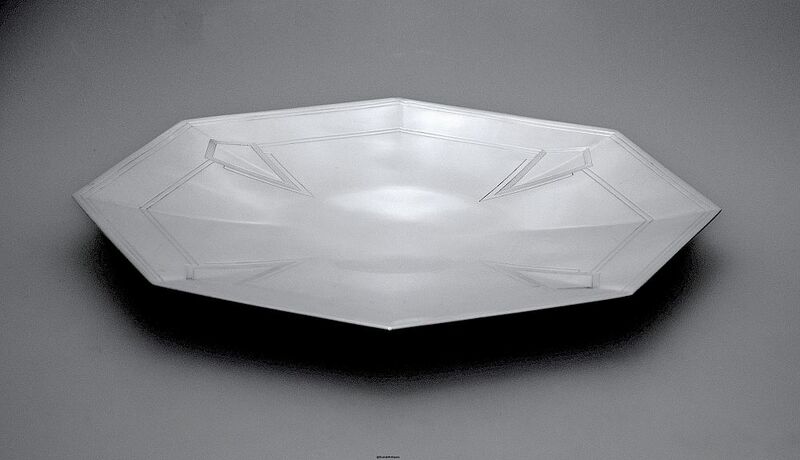 This is a very unusual silver plated Mappin & Webb tazza. It has a low circular graduated foot that supports a shallow concave octagonal top that has two sets of incised tramlines and is decorated with incised kite shaped emblems reminiscent of builders' trowels. 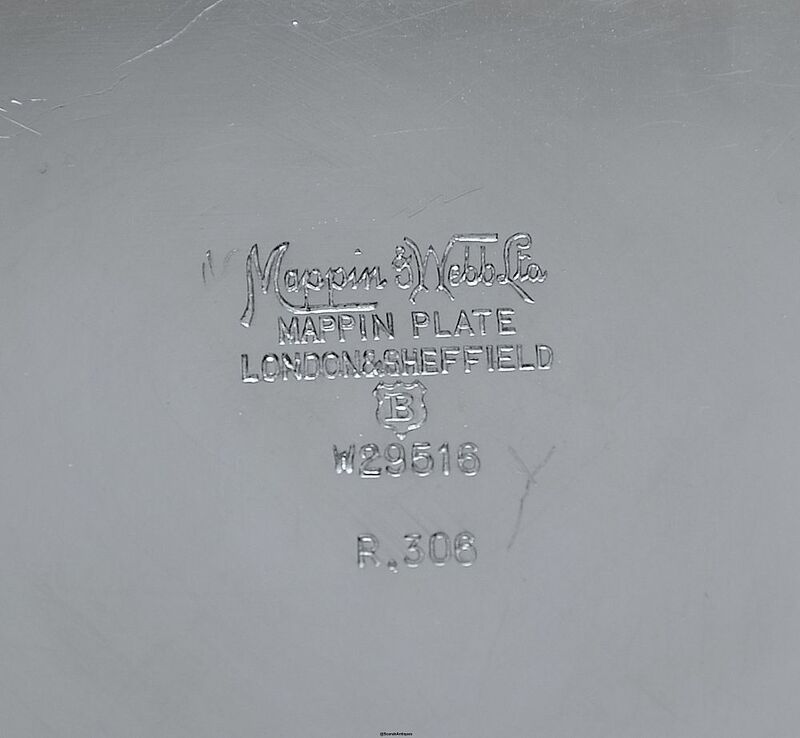 The base is script signed "Mappin & Webb Ltd" and further signed "Mappin Plate London & Sheffield" with the letter "B" in a shield shaped cartouche and "W29516 R306" below. A super piece.